With the Los Angeles Kings’ announcement today that interim coach Willie Desjardins will not return to the team, the Kings haven’t wasted any time in beginning their search for the next man to lead their team on the ice. TSN’s Pierre LeBrun reports that the Los Angeles Kings have asked the Edmonton Oilers for permission to interview former coach Todd McLellan. When the announcement came out this morning, The Athletic’s Lisa Dillman reported that the team was already working on a coaching hire, but nothing was imminent. However, the request and rumors around the league suggest that it’s McLellan that the team wants to bring in as their head coach. McLellan has put together a solid coaching resume with a 434-282-90 record, including seven seasons with the San Jose Sharks and another three and a half seasons with the Oilers before he was dismissed on Nov. 20th this season. However, despite taking an impressive Sharks team to the Conference Finals in his second and third seasons with San Jose, McLellan has struggled throughout the playoffs, totaling a 37-38 record. His most recent tenure had some success in his second season when Edmonton got to the second-round of the playoffs in the 2016-17 season and looked like an up-and-coming team, but he wasn’t able to duplicate that afterwards. Of course with much of the blame of the Oilers placed on McLellan, Ken Hitchcock was not able to right the ship either, with the eventual blame going to now former-general manager Peter Chiarelli. There are also rumors that the team will consider current assistant coach Marco Sturm, who the team had interest in developing into their future coach. The Kings have head coach Todd McLellan at the top of their wish list for next season, reports Sportsnet’s Mark Spector. Interim bench boss Willie Desjardins is not likely to return for the 2019-20 campaign. McLellan was let go by Edmonton earlier this season following a 9-10-1 start to their season but had plenty of success in his first stint back in San Jose. There will likely be other teams on the lookout for a new head coach in the coming weeks so expect the 51-year-old to garner some interest from elsewhere as well next month. Sharks defenseman Erik Karlsson has had his skating schedule scaled back as he continues to work his way back from a groin injury, notes Curtis Pashelka of the Mercury News. Instead of skating daily, he’s now hitting the ice every second day which suggests his return is further away than expected. 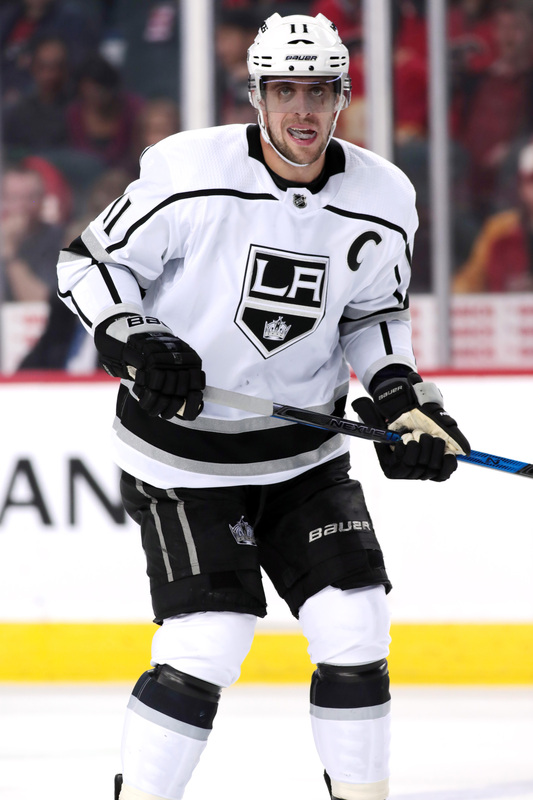 San Jose has already clinched a playoff spot and appears to be locked into a matchup with Vegas so they can afford to be cautious but they also would undoubtedly feel better if he had some game action before the postseason gets underway. Meanwhile, Pashelka adds that center Joe Pavelski, who has missed four straight games due to a lower-body injury, is progressing in his recovery and could be available for their game on Thursday against Chicago. The Oilers are in discussions with prospect John Marino, reports Postmedia’s Jim Matheson. The defenseman was a sixth-round pick (154th overall) back in 2015 and is just finishing up his junior year at Harvard, a team that is participating in the upcoming NCAA tournament. Although he still has a year of college eligibility remaining, he’s also eligible for August 15th free agency as it has been four years since he has been drafted. While some expected the Panthers to flip recently-acquired center Riley Sheahan by the trade deadline, they opted to keep him around instead. GM Dale Tallon told Walter Villa of the Miami Herald that he’s quite pleased with how the 27-year-old has performed so far and that they hope to bring him back for next season. Sheahan is set to become an unrestricted free agent in July and is making $2.1MM this season. With just 14 points in 62 games between Pittsburgh and Florida, it’s hard to imagine that it will cost considerably more to keep him around although his positional versatility certainly adds to his value. Mark Stone’s expected new deal with Vegas (which can be made official as early as Friday) is expected to carry a full no-movement clause. Don Brennan of the Ottawa Sun notes that this was something that the Senators were unwilling to put as part of their offer to keep the 26-year-old in the fold. Canucks winger Tanner Pearson has had a rough season as he has struggled offensively and has been dealt twice now. He told reporters, including Postmedia’s Patrick Johnston, that he had been playing through an undisclosed injury since early December which had prevented him from producing like he did in the past although it wasn’t significant enough to take him out of the lineup. After averaging 18 goals over each of the past three seasons, Pearson has scored just nine through 61 games so far in 2018-19. With the deadline having passed, one of the questions in Los Angeles is once again the future of interim head coach Willie Desjardins. GM Rob Blake told Robert Morales of the Los Angeles Daily News that a decision on whether or not Desjardins will remain behind the bench for the Kings beyond this year will be made at the end of the season. The team is 19-25-6 under Desjardins since he took over for John Stevens back in early November. The San Jose Sharks have won four of their last five games and seem to be trending in the right direction. They stand in third place in the Pacific Division with a 23-13-7 worth 53 points, but one thing that could hold the team up is the play of their goaltending. Paul Gackle of The Mercury News writes that the Sharks rank 31st in the league in even-strength save percentage (89.85 percent) even though the defense seems to have found their game in the month of December. The root of the problem has been the play of starter Martin Jones, who just started a six-year, $34.5MM contract, who has a 2.88 GAA and a .897 save percentage in 31 appearances this year. Head coach Peter DeBoer has put more responsibility on backup Aaron Dell lately, but Gackle writes the team might start to worry whether they can count on Jones for the playoffs. While a trade is a possibility, Gackle writes that the team’s other option would be to give some playing time to one of their AHL goaltenders in Antoine Bibeau and Josef Korenar, who was just named to the AHL All-Star game. The team could also consider trade rentals such as Brian Elliott, Michal Neuvirth, Keith Kinkaid and Petr Mrazek, but with Jones’ contract, the team is quite limited. 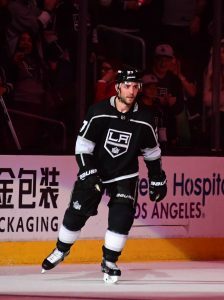 Despite being rumored to be ready to return, Los Angeles Kings head coach Willie Desjardins said that defenseman Alec Martinez is “not quite there yet,” according to Los Angeles Times’ Curtiz Zupke. 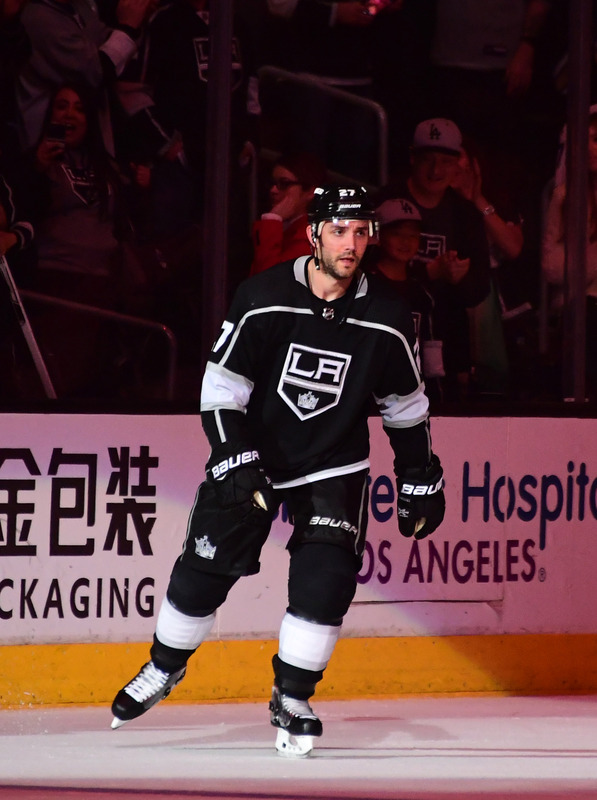 Martinez has been out with an upper-body injury since Dec. 8. New York Rangers prospect Vitali Kravtsov had two things going against him at the World Juniors, according to NHL.com’s Igor Eronko. The Rangers’ 2018 first-round pick played through a torn triceps during the WJC playoffs for Russia, which finished with a bronze medal. The scribe also points out that Kravtsov moved to the center position in November with his KHL team, Chelyabinsk Traktor, despite never having played that position before in his career. Despite that, he centered Russia’s first line despite just 12 games of center experience. Speaking of injuries at the WJC, Anaheim Ducks announced that prospect Max Comtois will miss the next two weeks due to the fact that he played throughout the tournament with a separated shoulder. Comtois, who scored five goals and an assist in five games for Team Canada, played for the Ducks for 10 games earlier this season, but was returned to the Drummondville Voltigeurs of the QMJHL. The 2017 second-round pick will return there after he recovers from his injury.